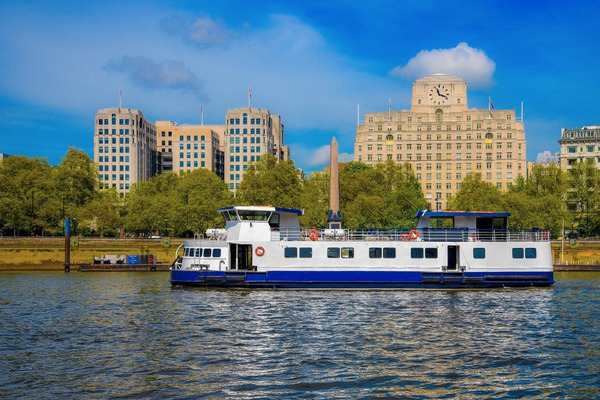 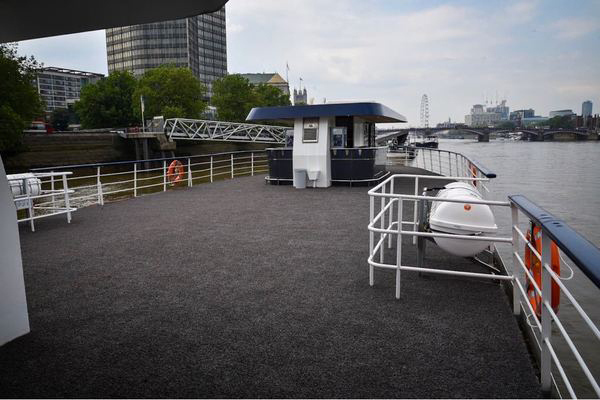 Pearl of London boasts one of the largest open decks on the Thames, a fully open top deck with artificial grass with a massive outside capacity of 200 plus passengers. 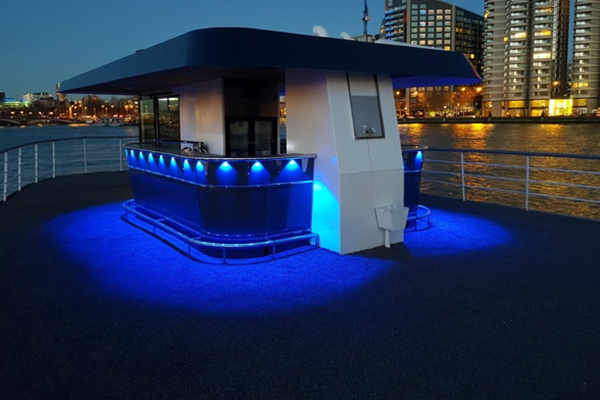 This area will be ideal for those summer BBQ’s, sightseeing cruises and experiencing London at night with all the magical lights with unrestricted views. 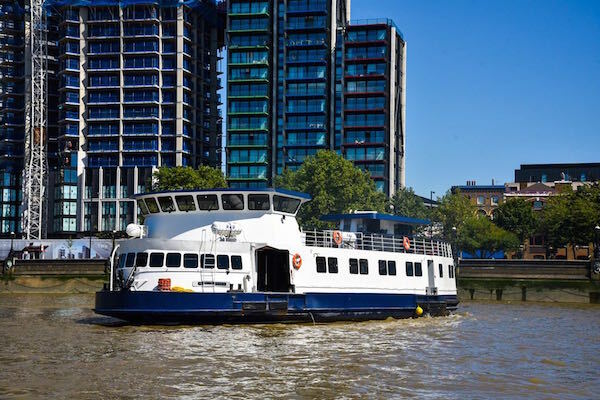 Pearl of London has the only floating 360 degree bar in london, offering all guests on the top deck easy access to purchase ice cold drinks while you take in all the great sights as you cruise down through the heart of the city. 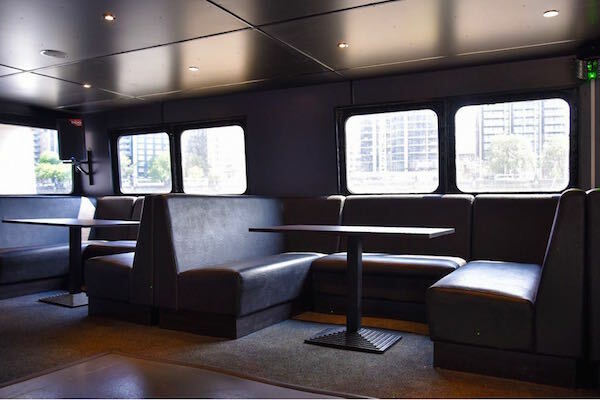 Boarding from our forward door you will enter a spacious large saloon with ultra-modern black leather booth seats with a capacity of 10 passengers on each booth. 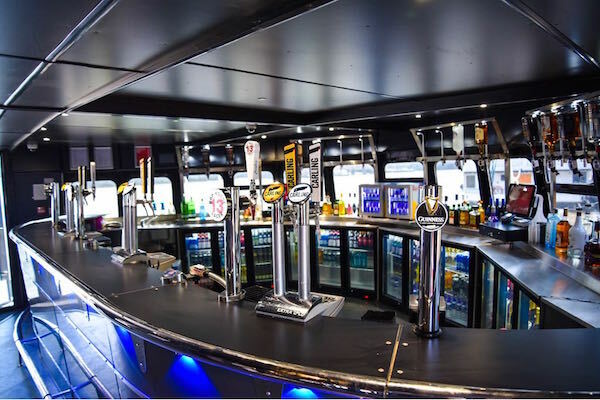 At the front of the vessel you will see our large fully stocked main bar selling all the popular brands. 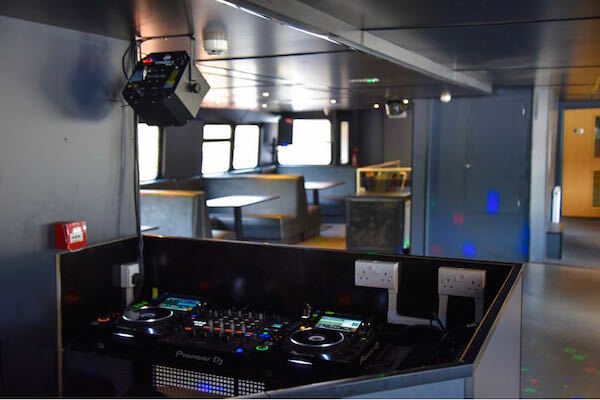 In the middle of the saloon you will have access to the large dance floor with state of the art lighting. 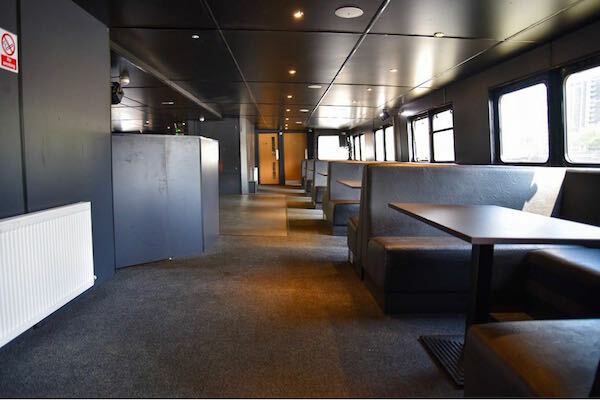 The VIP area can be open to all passengers or can be closed off and used as a VIP room for special guests only. 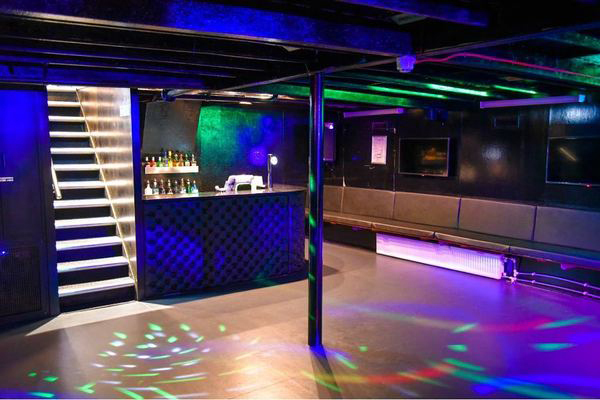 Leading off the saloon opposite the main bar you can walk down into the ultra-modern club with black modern seats wrapped around the large dance floor, this also comes with a VIP bar which can be open for cocktails, champagne or open as a normal bar depending on each client’s requirements and event. 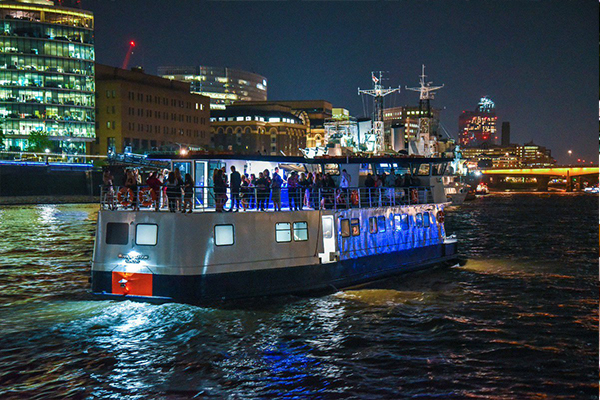 Contact M.V Pearl of London directly or use our simple contact form.